Rev. Wm. Gauld From Tamsui. Formosa, on the 10th of June, 1895, writing to the F.M. 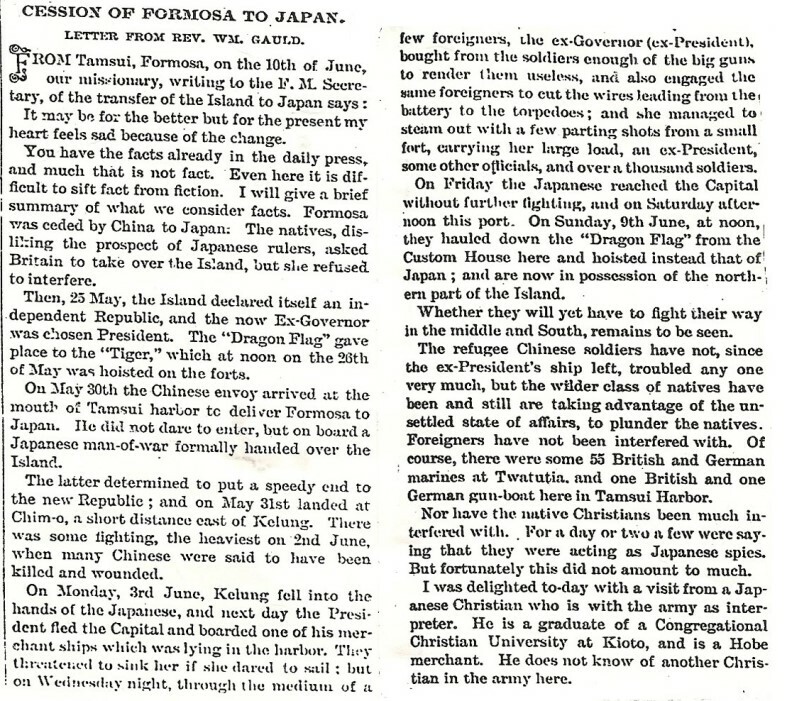 Secretary, of the transfer of the Island to Japan.